Sometimes you run across someone whose accomplishments are so extraordinary that it’s hard to believe one person could’ve done them all. Yet with Christy Mahon, I’ve found exactly that. Christy exhibits a combination of fearlessness, athleticism, and tenacity that’s hard to match. 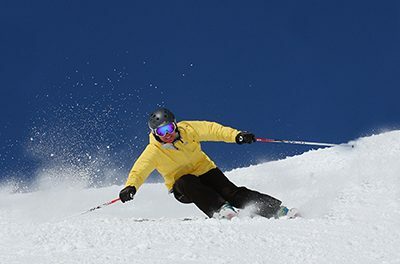 In 2010, she became the first woman to ski all 54 of Colorado’s 14,000-foot peaks. She must’ve liked what she saw when she made those ascents, because by 2015, she’d completed climbing and skiing the Centennials — the state’s 100 tallest peaks. But as they say, wait, there’s more! Christy has also completed more than a dozen Elk Mountain Grand Traverses, 20 ultra marathons, and summited high peaks in South America as well as the 22,500 foot Ama Dablam in the Himalaya. She’s skied around the world, including classics such as the Haute Route, and the Bugaboos to Rogers Pass Traverse. Obviously, she hasn’t done this without anyone noticing. 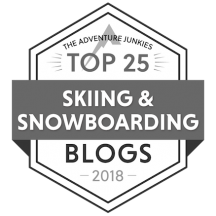 Christy’s been nominated twice for the Sportswomen of Colorado Award for ski mountaineering (2011 and 2016), and was a nominee, along with her husband, Tom Mahon, and Chris Davenport, for Adventurers of the Year by National Geographic in 2016. In her spare time (said ironically), she’s Development Director for the Aspen Center for Environmental Studies, whose mission is providing ecological literacy for all ages. Phew. Just typing all this makes me exhausted. And incredibly impressed. SD: Tell me something about your background. How did you get started? And how and why did you decide to get involved in ski mountaineering? CM: I grew up in Denver when it was still really easy to drive to the mountains without a lot of traffic. By the time I graduated college, it was time to live in the mountains, not just close by. Moving to Aspen 20 years ago opened my eyes to mountaineering and the richness of mountain culture. I had finally found my place. SD: Taking on the challenge of climbing and skiing all the state’s 14ers is a pretty daunting undertaking. Why did you decide to do this? How long did it take, and how many did you do per year? CM: I was introduced to the idea of first climbing all 54 14ers by my husband, Ted Mahon. He was busy climbing them all when we met, so I started climbing and skiing them with him. And I was instantly hooked. It was the most fun thing I’d ever experienced. I finished climbing the 14ers in 2004. Then that spring I started focusing on skiing all the 14ers with Ted. He was the third person to finish skiing them all in 2008, after Lou Dawson, who was first, and Chris Davenport, who was second. By the time he finished, I’d already skied over 30 peaks so I figured I should probably just try to ski the rest. I ended up skiing all the peaks in spring of 2010. That meant skiing 9 to 10 peaks a year, which is a lot when you really only have weekends off to ski and there is a pretty short season each year [March – May]. Building on the 14er list, Ted, Chris and I started skiing the next 47 highest 13ers in the state to complete Colorado’s Centennial Peaks. That project took over three years from 2013 to 2015. SD: How do you prepare for an ascent, both mentally and physically? CM: With most peaks, I’ve thought about skiing them for a long time and have been somewhat preparing both mentally and physically. The physical preparation is pretty straightforward. 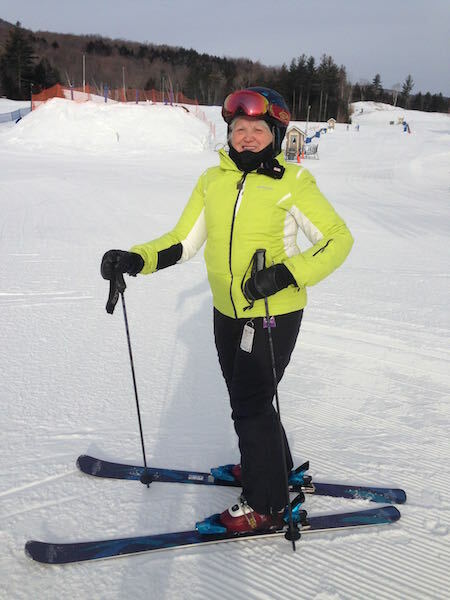 During the winter, I’m lucky to be able to skin up 3,200 feet a few times a week at the ski area before work [ed. note: Christy lives in Aspen] to keep me in shape for touring in the backcountry. I also try to include weight training, swimming, yoga, and running to stay strong for mountaineering. Mentally, I give a lot of thought and respect to each peak I climb or ski. In the mountains, you quickly learn that sometimes the hardest days can be on the easiest of routes or peaks. You always have to be prepared for route finding, stability, weather, and so on. SD: So what’s the most challenging peak you’ve done and why? And what’s the hairiest situation you’ve encountered? CM: Jagged Mountain lies in the heart of Colorado’s remote Weminuche Wilderness Area of the San Juans. It’s the 94th highest Centennial peak in Colorado and provides one of the most difficult routes of the 14ers and Centennials. Not only is it class 5 as far as difficulty, it is really remote, taking two days to reach the summit from any trailhead. It’s so rocky and steep at the top that it’s not skiable from the summit and involves rope work and repelling to get down. It was definitely the most challenging both mentally and physically. In addition to all those challenges, I hurt my knee on the way out of Jagged, so that was probably the hairiest situation we’ve encountered; just getting out on our own with all our heavy gear and backpacks. Getting to the Rottalsettel in the Swiss Alps. SD: Tell me about your gear. 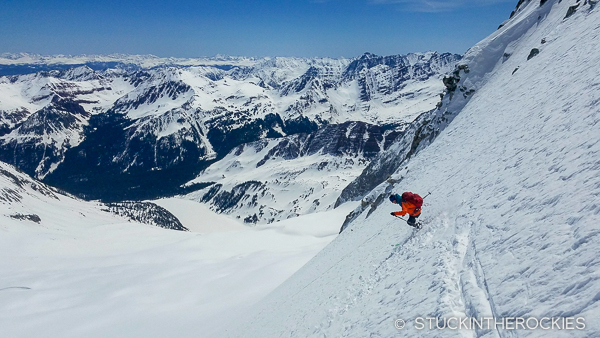 What do you look for in a mountaineering ski? And what skis do you find work well for you? CM: I look for a ski that’s light but able to cut through all the variable snow conditions you find at 13,000 and 14,000 feet. As a woman, I need a ski that’s somewhat flexible and that I can maneuver around quickly; something not too damp and tank-like. I love the Kastle skis because they combine the characteristics you want for backcountry — light and snappy — but have the construction and build of a luxury race car. SD: I see you’ve done many ascents with your husband. What do each of you bring to an expedition, in terms of strengths and/or weaknesses? Is it difficult to do this with your spouse? CM: It’s great to have a built-in partner for adventures, and my husband, Ted, is my number one partner. He’s always up for anything and is a constant mentor for me. I think we might actually be at our best in the mountains, maybe because it’s the happy place for both of us. Ted is a master planner and amazing photographer, which every expedition needs. I bring a lot of energy and motivation to some of our adventures. We love to plan together and then make it happen. For us it works really well. 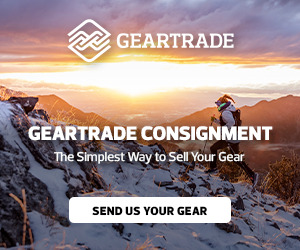 SD: Other than skiing or climbing gear, is there one unusual piece of equipment that you MUST have with you? CM: Hand-warmers and mitts — not gloves. I buy hand-warmers and toe-warmers by the case and have to use them year ’round. I can’t even wear gloves on nice, sunny days anymore. It’s maybe not the most hard-core gear, but I suffer from bad circulation and a condition called Pernio which causes cold feet and toes. I’ve learned not to be embarrassed about it and instead just listen to what my body needs. 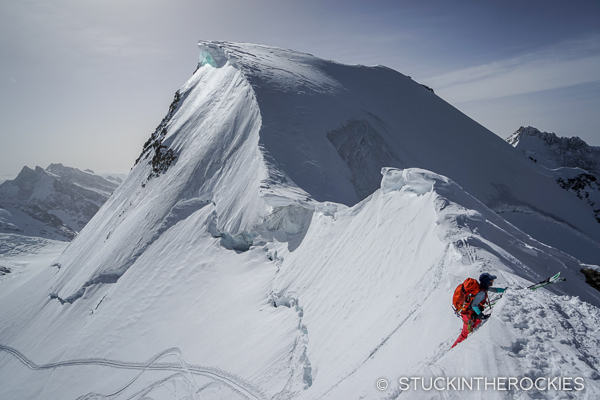 SD:What’s the best advice you can give someone who’d like to take up ski mountaineering? CM: I’d encourage people to start where they can. For some, this might be practicing with your equipment on a ski area or starting with small tours to local huts. The biggest thing is feeling confident with your gear and knowing how to use it, primarily your avalanche equipment. Most mountain communities have a club or organization you can join. I would recommend joining them for a few outings, education, and avalanche training — including taking a wilderness first-aid class — just to learn the ropes. Finding a trustworthy mentor is really helpful, as well. 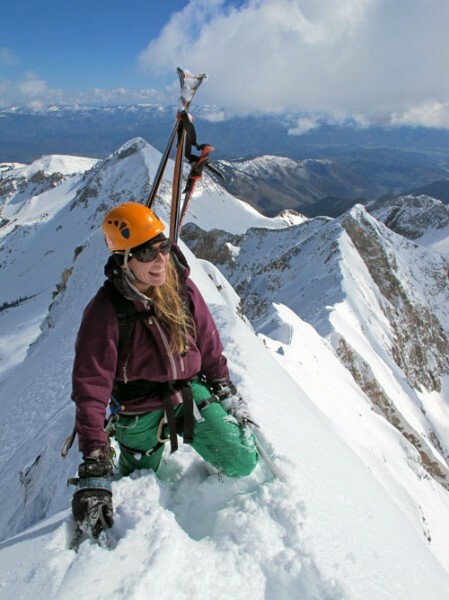 Mountaineering takes grit, so people need to be accepting of feeling discomfort at times. However, I’d encourage people to try it out, as it teaches you so much about what you can ultimately accomplish. Often, pushing yourself to learn something new is more about having the will than the skill. SD: I understand you’re Development Director at the Aspen Center for Environmental Studies [ACES]. Can you tell me about that? CM: I thought I was a good ambassador for the environment before I started working at the ACES, but in fact, I had so much to learn about our impact on the planet and how to live a more sustainable life. The mission of ACES is to educate for environmental responsibility and empower people to become better stewards of the environment that sustains us all. As Development Director, I help connect our community, members, and visitors to unique experiences focused around forest and eco-system health, sustainable agriculture, and environment education. 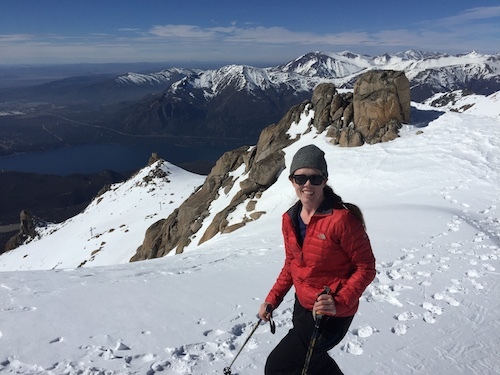 SD: So besides working at ACES, what’s your favorite non-ski mountaineering activity? CM: It’s kind of the same thing but without skis: Trail running through the same mountain ranges I love to ski! I love being in the high alpine and in wilderness. We are so attached to technology these days, I really enjoy separating from that and spending as much time as possible unplugged in nature. Here’s a video of Christy as she completed the final summit in her quest to become the first woman to climb and ski all Colorado’s 14ers. PreviousForget the controversy; just take care of yourself. 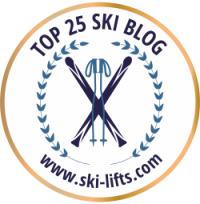 NextWant to save on next season’s ski trip? Here are 9 things to do right now.